Many people experience vague - and in some cases, not so vague - symptoms of chronic illness in their daily lives: Are you one of them? Perhaps you have encountered sniffling, headaches, unexplained tiredness, congestion, sneezing, or similar problems. 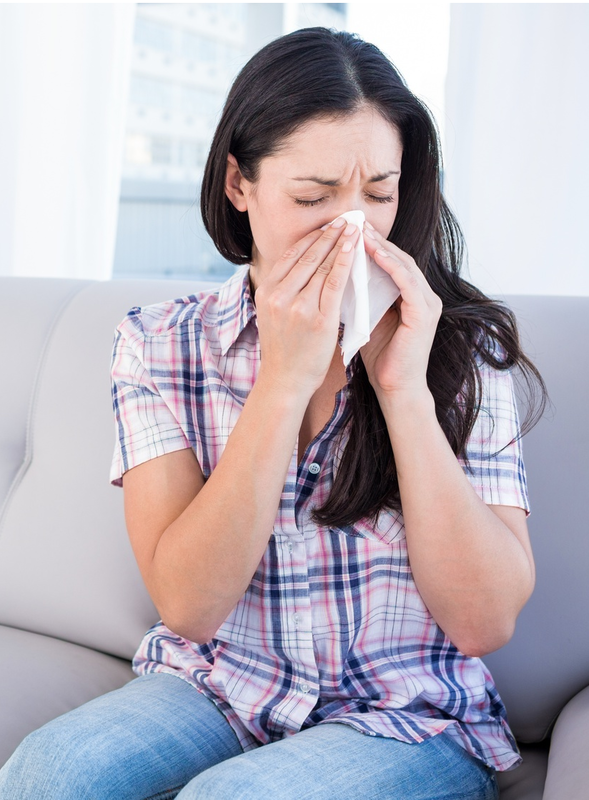 If anyone in your home has commented, "I guess I'm coming down with a cold" so many times that you can almost predict when they are going to say it, then the issue may not be germs at all. If you feel better when you are out and about, but the symptoms return once you are back home, this is not an infectious agent. You may need to learn some maintenance tips and take some action, for the sake of your family, their health, and daily living. Your indoor air quality might need to be considered. What Could Be Making You Sick? The symptoms are similar to asthma, colds, flu, and other ailments, and they vary from individual to individual. The causes can be just as varied too. In many homes, the causes tend to be hidden sources of mold, old insulation, old carpeting with disintegrating pads underneath, pets, smoking, plants in damp soil, poor ventilation, faulty appliances like the furnace or A/C unit, and even some paints and some kinds of stain protection added to furniture. The processes surely take time, but replacing or repairing a variety of items can make a significant difference in your health. Reducing allergic reactions will allow healthy breathing and enjoyable days spent at home to be yours once again. Removing wall-to-wall carpeting in favor of the flooring underneath (or an all-new beautiful hard floor) will reduce allergens in the home. Rehoming animals or having a strict routine of animal care with professional grooming, if necessary, can help. Use bedding that keeps out dust mites. Decluttering rooms will improve ventilation and help those hidden corners dry out. Home cleaning also includes regular maintenance like using high-quality air filters in your HVAC system and then changing them periodically. Many filters reduce and eliminate exposure to allergy symptoms. Is This Only A Problem For Older Homes? Older homes often gain a reputation for germs, allergens, dust, mold, and so on. While this can be true, in many cases newer homes have shown tendencies towards similar problems. The extremely well-sealed newer home depends more fully upon its HVAC systems, and those systems lose efficiency just like any other furnace or air conditioner unit. Having your HVAC units serviced with preventive maintenance will not only reduce or prevent breakdowns at crucial times, but it can also add years of service, peak efficiency, and healthier indoor air quality to your living environment. If your home has been through a flood or hurricane, you probably have hidden issues you need to know about. If new construction has been an ongoing project in your neighborhood, then it's safe to assume that you're getting exposed to new layers of dust that you're not used to. If you've lived in your home for years and just think that you felt better when you were younger, then consider having your home checked for allergens. You may have developed a new allergy you didn't have when you were younger. It might make a great present for yourself to have a professional home cleaning service come in. With each step that you take, observe if any allergic reactions seem to disappear, and congratulate yourself! You're on your way to a healthier lifestyle.